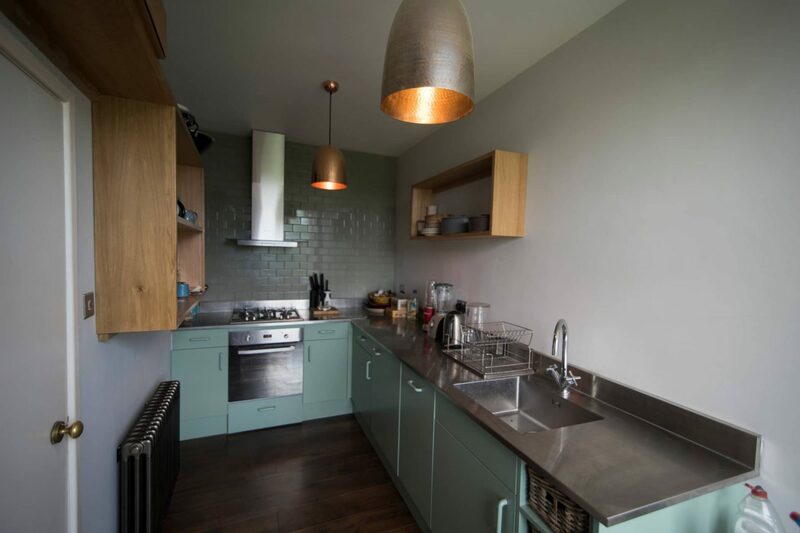 There was a galley kitchen, so our primary objective was to make the space work hard and feel as spacious as possible! 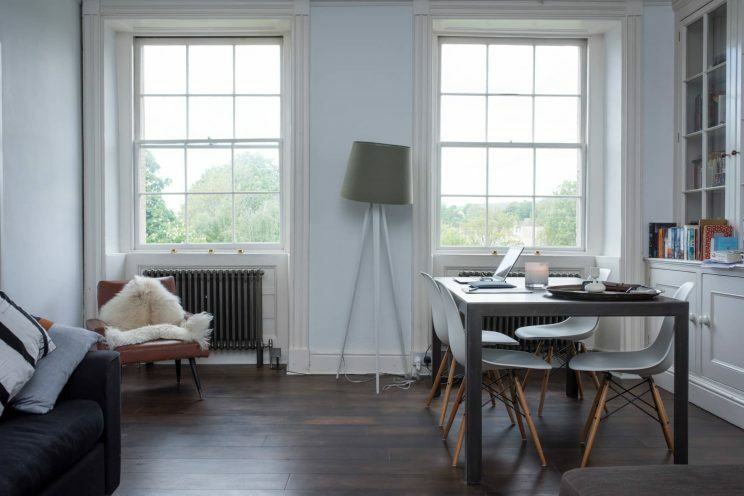 This lovely apartment is on the first floor of one of Bath’s prestigious Georgian crescents, and our project entailed re-designing this Crescent home. We enjoyed exchanging ideas and working with the property owner who had a really good eye for design and detail. 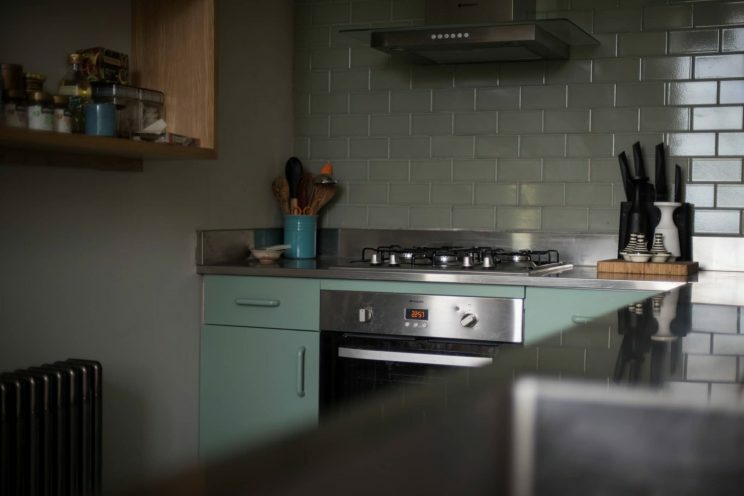 Our brief was to refurbish the whole apartment for her – she wanted us to create a space that was as robust as it is beautiful. We advised on the best use of materials to achieve the durability and look she was after. 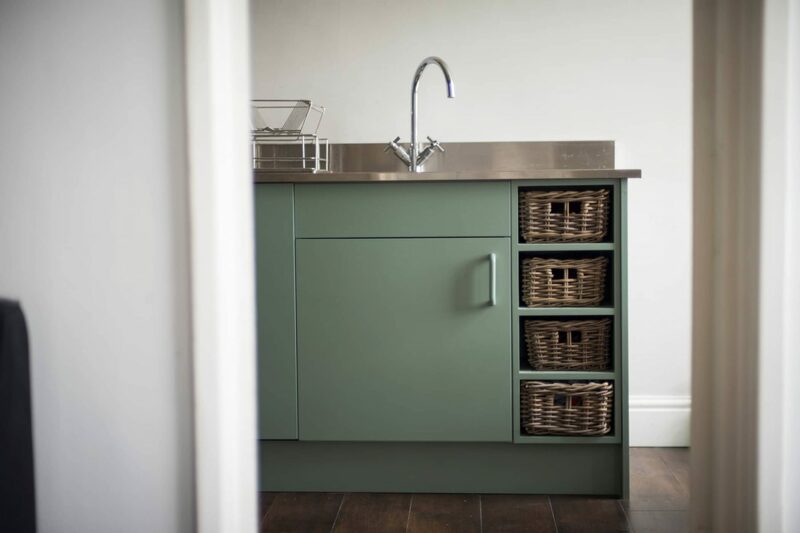 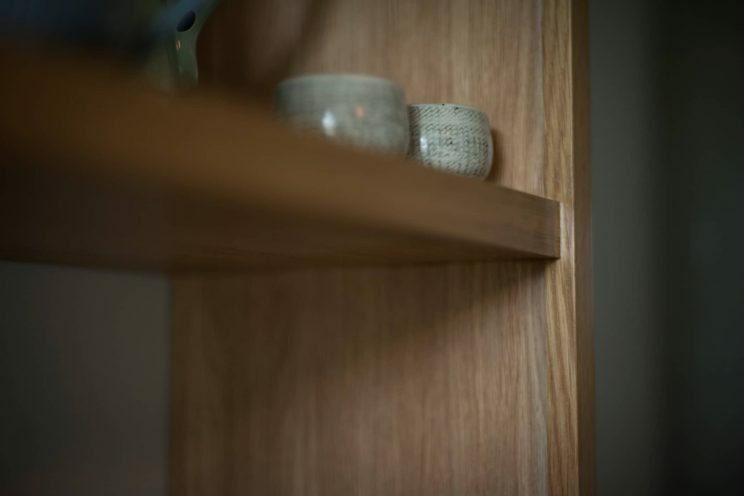 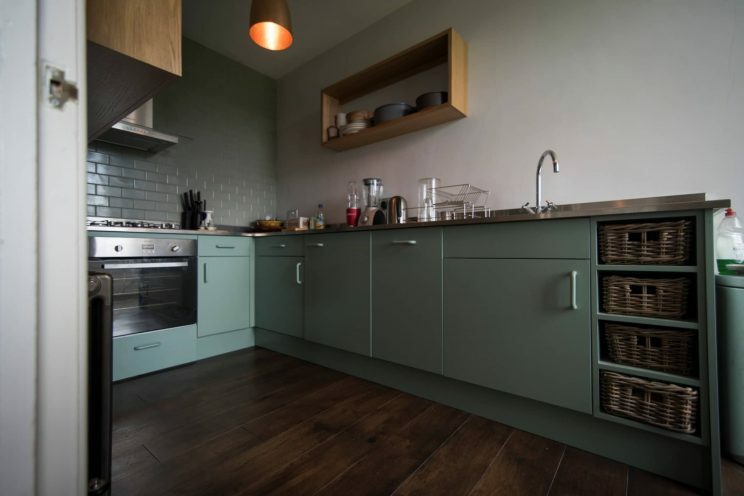 We started with a full kitchen installation led by Bath Bespoke’s Dan Aldridge – starting with slab doors with painted wooden handles, oak carcasses and wall units. 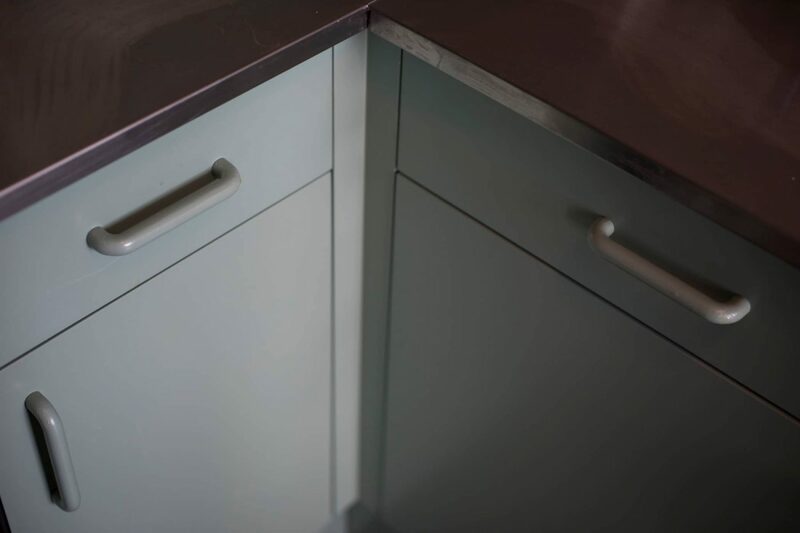 We used stainless steel worktops and incorporated storage racks. This was a galley kitchen, so our primary objective was to make the space work hard and feel as spacious as possible! 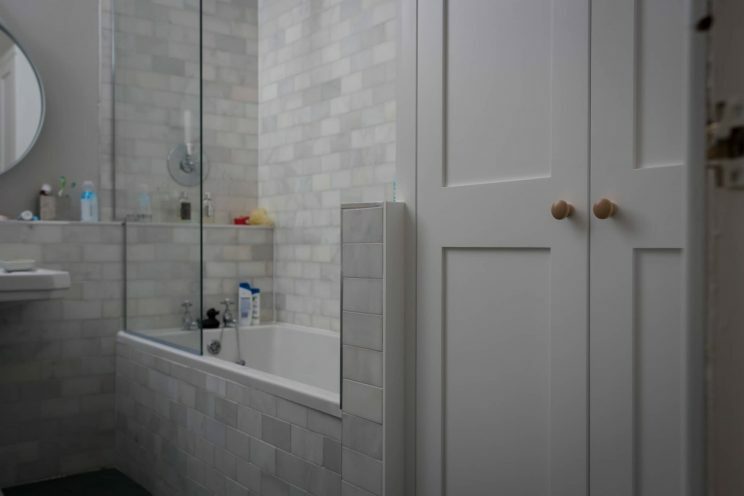 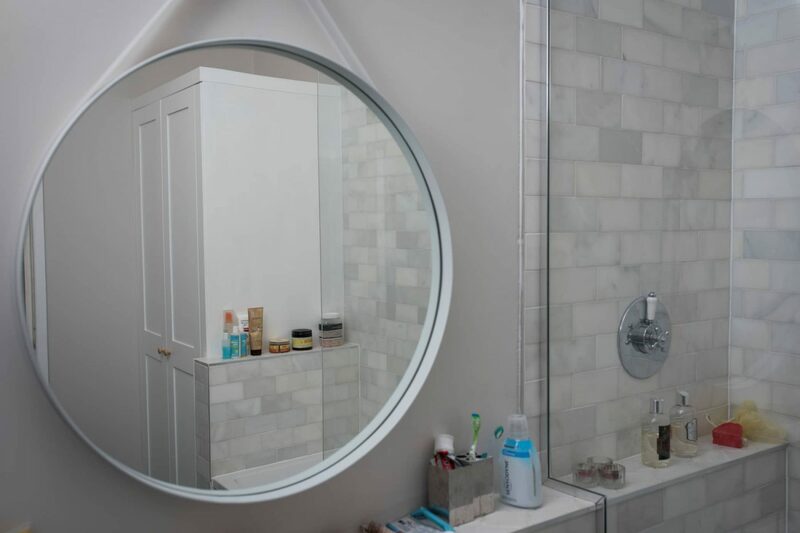 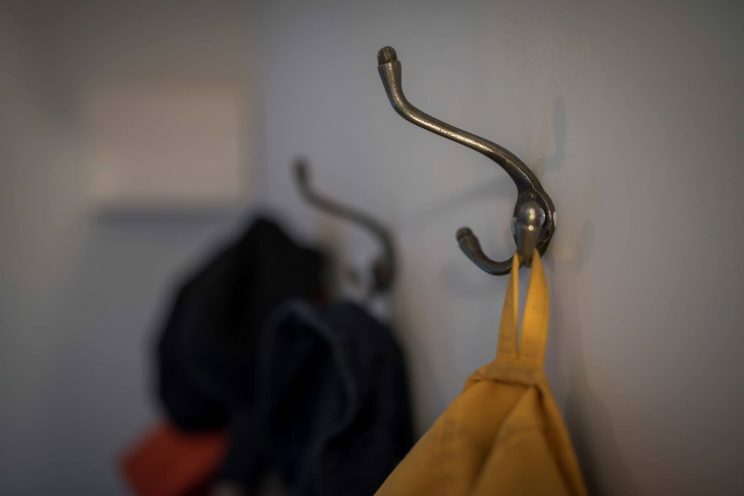 In the bathroom we fitted a made-to-measure shower screen and wardrobe with a light colour scheme and stainless steel fixtures to give a fresh, airy feel to the room. 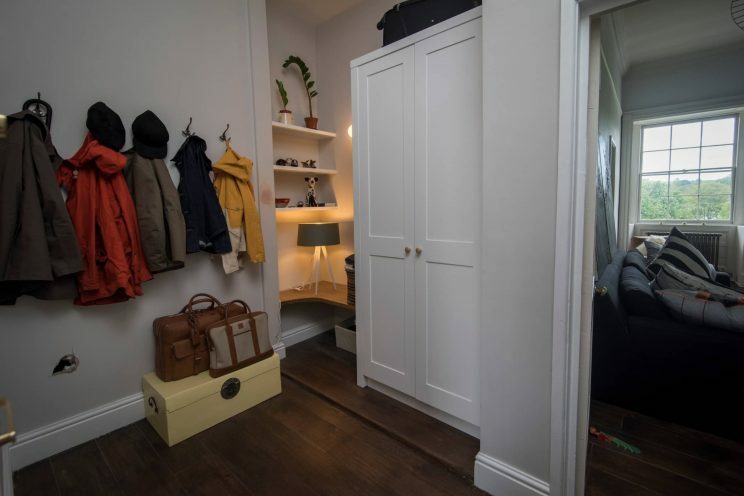 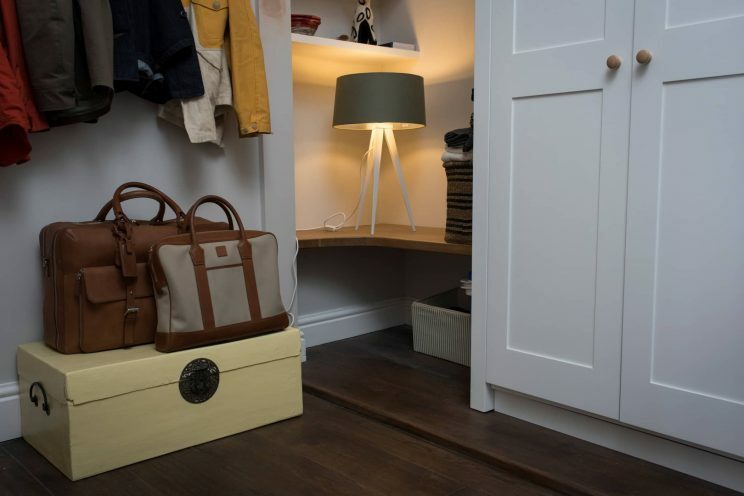 The entrance hall was completely refurbished to incorporate a new fitted wardrobe, floating shelves and an oak bench. 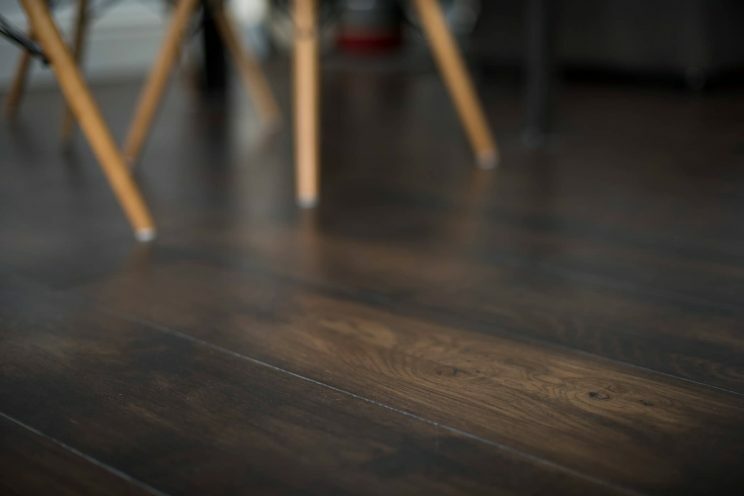 We also laid a durable engineered oak floor with a bespoke rustic finish throughout the entire flat – chosen because it would be easy for Louise to maintain and will age well over the years. 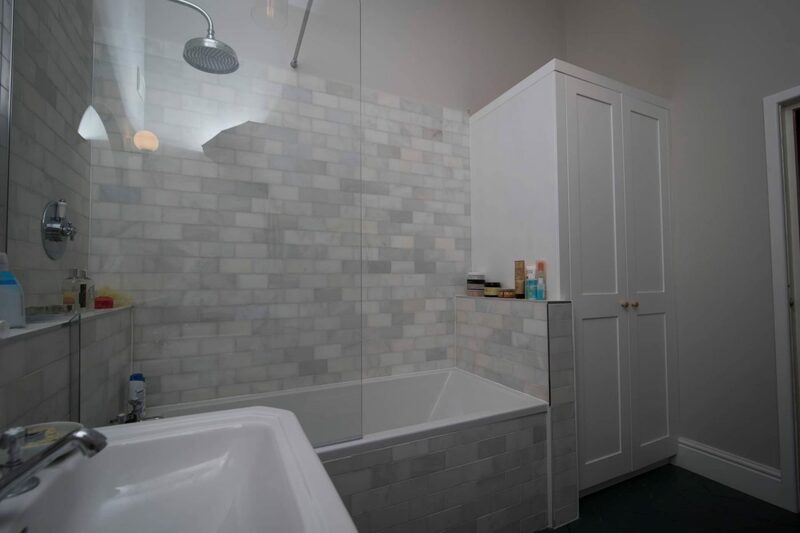 There were some memorable ‘eureka’ moments while the Bath Bespoke team were working in this apartment: we uncovered beautiful, original cornicing under the suspended ceiling, and there was a false wall in the bathroom which, once removed, added 30% more space to the room. 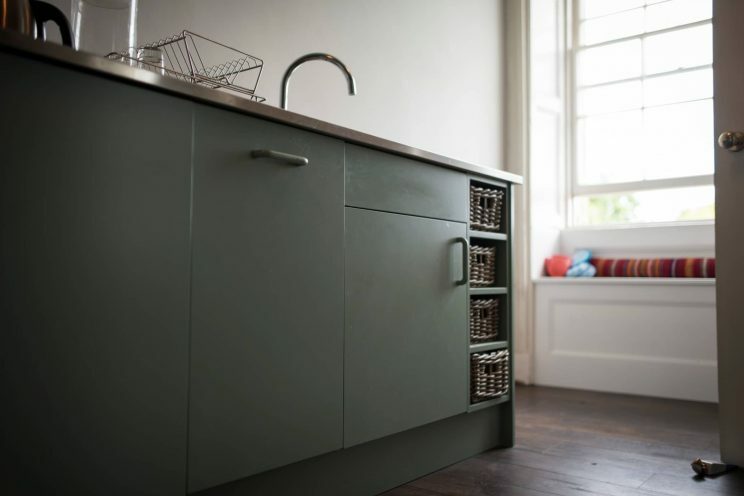 A thoroughly enjoyable and satisfying restoration project – and we think the end results look great. 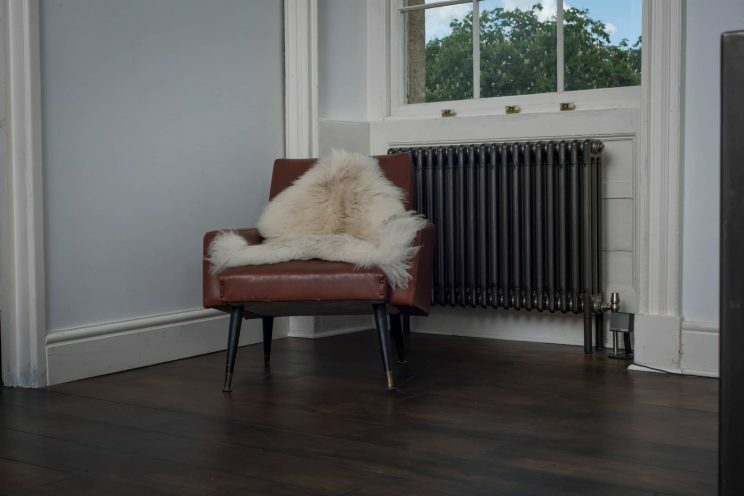 The sophisticated dark finish of this stained oak floor provides the perfect backdrop for the mix of contemporary and vintage furnishings in this elegant Georgian apartment in Bath.